I love apples and think they are synonymous with fall. Sweet, tart, and oh so colorful! Add a little cinnamon to the mix and it's almost too much to resist. That's why I chose apples as the ingredient for September's Food of the Month. If you're looking for something new to make with apples, check out these wonderful apple recipes from a few of my friends. 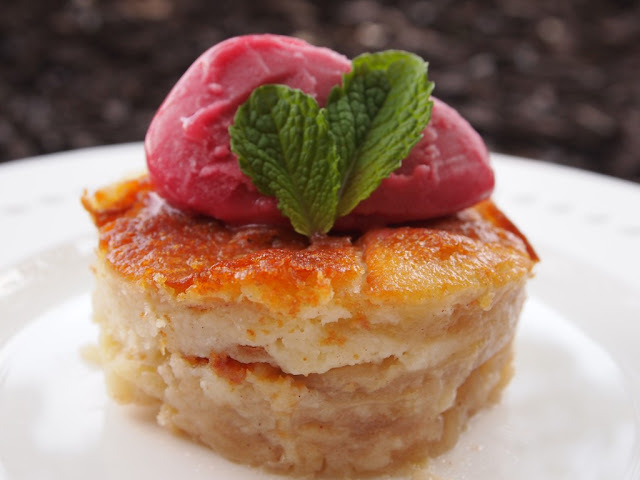 To start things off, my friends from Peru Delights, who just finished writing their first cookbook "The Everything Peruvian Cookbook" which will be available for sale in February 2013, share this creamy and moist Apple Cake, that really is bursting with apples. Sarah from What Smells So Good? shows us how easy it is to make this vibrant Crab Apple Jelly. I think this would make an amazing gift this holiday season. 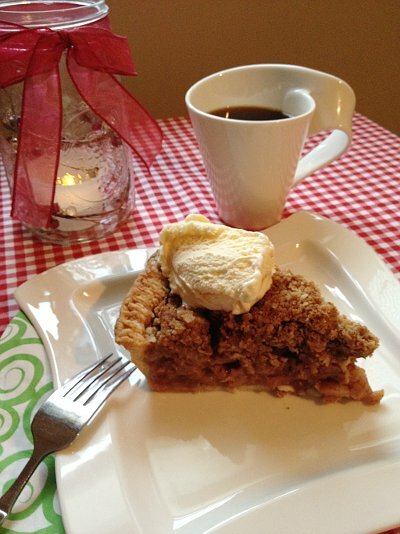 Jenna from Little Kitchen Big Flavor made an all-American classic: Apple Pie with Oat Crumb Topping. I'll take mine with an extra scoop of ice cream, please. 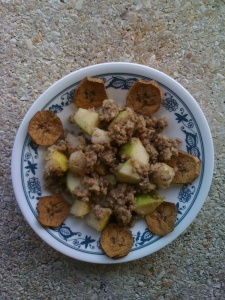 Heather from Malice in Dunderland made us a sweet and savory Fruit Picadillo sweetened with apples and pears. 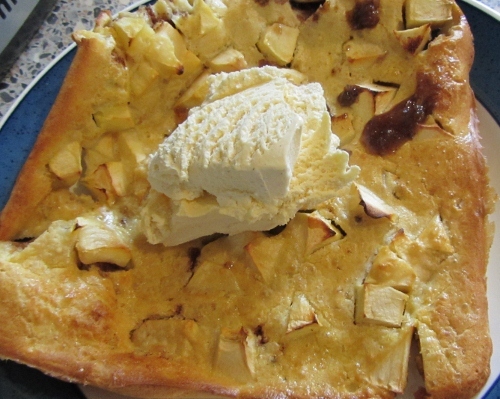 Corina from Searching for Spice baked up a fluffy Oven-Baked Apple Pancake filled with apples, spice and everything nice. 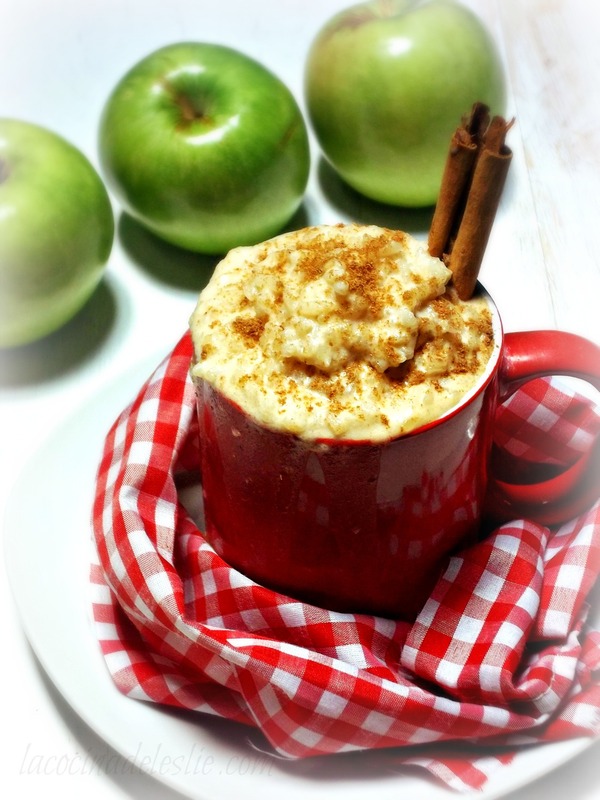 My contribution to this Round-Up is a creamy Apple-Cinnamon Arroz con Leche, that tastes like fall in a cup. And lastly, my friend Nicole from Presley's Pantry has a very special treat for all of us...Halloween Caramel Apples! Watch this awesome video to see how easy they are to make. Thank you to all who participated this month! It's a pleasure to cook with you each month. If you would like to be included in the next Food of the Month Club Recipe Round-Up, check back a little later today for October's announcement post for more details.